I’m a strong proponent of the Uncertainty Principle when it comes to the stock market. That’s because the number of things we don’t know far outweigh the things we do know. One consequence is that handling uncertainty in an intelligent way, also known as risk management, should be a core concern for any investor. One of the best tools for reducing risk, and perhaps increasing returns at the same time, is diversification. 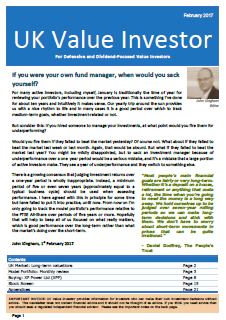 Diversification is basically the same as ‘hedging your bets’, which is something that most people are familiar with. The aim of diversification and hedging is to avoid commitment to a single outcome by taking multiple and often opposite positions, or, as the Cambridge Dictionary puts it, “to protect yourself against loss by supporting more than one possible result”. Managing a diversified portfolio doesn’t take a lot of additional work, so it seems foolhardy, given that the future is so opaque, not to put diversification at the centre of an investment strategy. Studies have shown that holding around 30 companies will give virtually all of the diversification it’s possible to get from increasing the number of holdings. If a portfolio goes from 30 to 100 companies then the effect on the portfolio as a whole is marginal, especially in relation to the additional trading costs, not to mention the additional work of managing another 70 stocks. If 30 sounds like too much then a portfolio of 10 stocks will be about half as volatile as any single one, and about 25% more volatile than a portfolio of 30. However, another important factor which is rarely mentioned is the psychological impact of a concentrated portfolio. Although a portfolio of 10 stocks is theoretically only about 25% more volatile than a portfolio of 30 stocks, the portfolio of 10 stocks has 10% invested in each company. It’s not hard to imagine a single stock having a good run and ending up at 20% of the portfolio. For most investors I think 20% in a single company is far too much and is likely to result in sleepless nights and emotionally driven decisions due to the importance of that one holding. On the other hand, the 30 stock portfolio only has 3.3% invested in each company which will still only be 6.6% if the share price of a particular holding doubles. With such a small amount invested in each company the 30 stock portfolio will probably be far less emotionally taxing than the 10 stock portfolio, and is therefore likely to be managed on a more rational and cool-headed basis. The exact number of companies that an investor owns is ultimately a subjective decision based on the balance between risk, trading costs, emotional stress, and the time and effort costs of watching a given number of companies. In the case of the UKVI Model Portfolio it takes the cautious route and targets 30 holdings. The simple approach to diversification outlined above, of just holding ever more companies, is a good start, but it can be improved upon. If you hold 30 companies and half of them are banks then their share prices are still likely to move in tandem. The banks themselves will also be affected by the same risk factors. To avoid this scenario it’s a good idea to deliberate diversify a portfolio in terms of the industries in which the various companies operate. This doesn’t have to be a complicated affair; you can simply decide on some rule which ensures that there is sufficient industrial diversification. For example, in the popular High Yield Portfolio strategy the rule (from memory) is that each of the 15 stocks in the portfolio should come from a different industry, or more specifically, a different FTSE Sector. 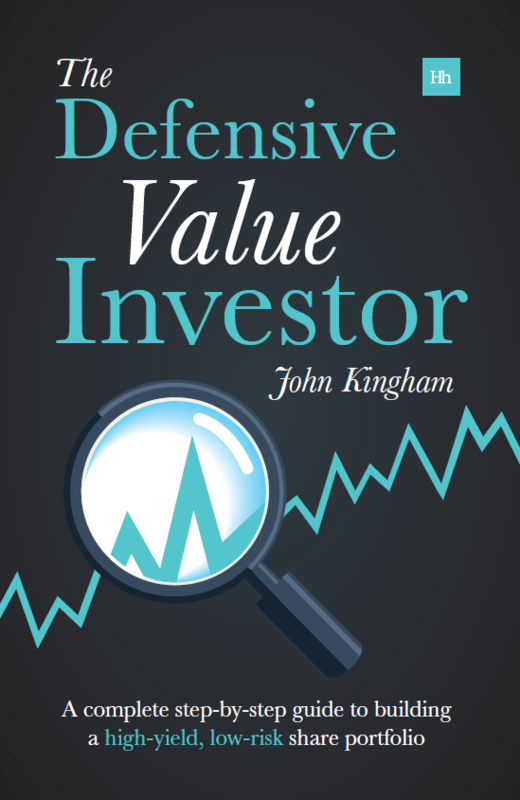 Alternatively, the approach used in the UKVI Model Portfolio is to hold no more than two or three stocks from any given FTSE Sector, which produces a similar level of diversification. The last major pillar in any sensible diversification strategy is to ensure that the companies generate their sales and profits from a wide geographic area. It’s one thing to own 30 companies from a range of industries, but if they all make their money in the UK then the portfolio as a whole will suffer greater swings both up and down as the UK economy booms and busts. Given that most UK investors live and work in the UK, having a portfolio of shares overexposed to the UK as well is an unnecessary and easily avoidable risk. Once again the rules here can only be subjective and there is a trade off between the geographic diversity of a portfolio and the familiarity which you have with the companies in it. As a guideline, the FTSE 100 generates around 20% of profits from within the UK, which means it is very geographically diverse and is why its movements often don’t correlate with the UK economy. As another example, the UKVI Model Portfolio has a policy of having no more than 50% of revenues generated from within the UK. You can find the geographic spread of revenues for a particular company as part of the Morningstar Premium service, although there may be other sources too. The important point is to be aware of these various forms of concentration risk (from holding too few companies, being in too few industries or operating in too few countries), to have policies in place to control the risks, and to act on those policies consistently over the long-term. Once the steps are in place they shouldn’t add more than five minutes to an existing investment process, and the return on those five minutes, in terms of risk reduction, could be huge.